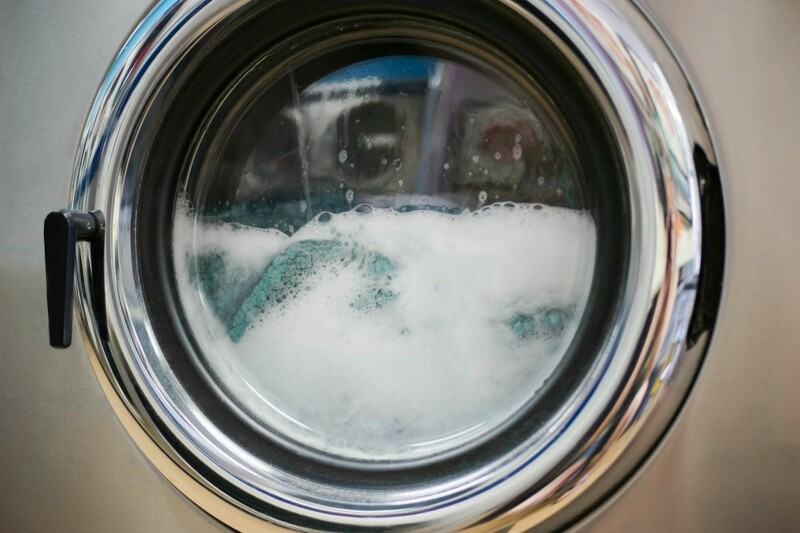 Determining the cause of the insufficient spin cycle may be something you can do yourself. If not, it is time to call a repair person. This is a guide about a Kenmore washer not spinning out all of the water. I have about a 12 year old Kenmore Elite (Whirlpool made) washer that doesn't spin fast enough when it has a heavy load in it to spin out all the water from the clothes or even fast enough to discharge the fabric softener. If it's a small load it seems to work fine. It typically happens when there are a couple of pairs of jeans in the load or similar items that hold a lot of water. It sounds like the machine is losing it. Most home machines (besides direct drive hi-spin models, read expensive) are belt driven. A worn or stretched belt or one that lost some of its tension can make the machine lose a bit of its bite. Light load, enough traction to spin the tub. Add some weight, it slips away. If you have the pamphlet that came with the machine, see if it has a blow-up of how the machine fits together. You then can decide if you want to tackle the fix on your own. The fix sounds as simple as a new belt or re-adjusting the belt tension adjusters, but a word of caution. The fix isn't technically hard but it can be a pain. If there are no tension adjusters you'll need to stretch the belt on (knuckles beware). With tension adjusters, the job is easier; the hard part will just be taking the machine apart and putting it back without any spare parts left over. Mine did that, and finally it simply quit spinning. I had two different repairmen give me two different opinions as the cause. One said it was the transmission, and the other said it was a special gear for making the machine cycle into spin mode. Both wanted over $100 for parts and labour. I thought about it, and ended up buying a new Roper to replace the (ROFLOL) 25+ year old washer I'd bought five years earlier second-hand. I think I would have had it repaired but the two different opinions made it seem a money-pit, so I just replaced the washer. Good luck with yours, 12 seems a bit too retire a high end machine like yours! My washer is not spinning the clothes all the way dry. It is a Kenmore, model#21302010, type 588. It senses the load, locks the lid, and then spins for 4-7 seconds and stops. I dont know if this will help but I occasionally have that problem with my washer. Turns out that if it isnt completley level, it "senses" the slight tilt and will stop. Sometimes the vibration of the spin cycle will move the machine a tad. I live in a very old cottage and none of my floors are level. You should have some sort of lever or knob under the machine to level it off. Also if the laundry is all bunched up on one side the machine isn't balanced and that will stop it from working too. Just open it up and redistribute the laundry evenly if you can. Wet clothes are heavy, I know and it isn't always possible but worth trying before you call in a tech. My spin cycle on my washer is not as fast as normal. It was squeaking, but doesn't anymore. However, the spin doesn't wring all the water out. It's a Kenmore, 11 years old. Any suggestions? Thanks. Our washer is doing the same thing, and it's about the same age as yours. I have a friend who also has a similar washer--he and I have had problems with our washing machines for years. I think Kenmore just built a whole line of clunkers.